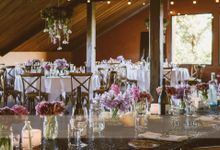 Custom-made Custom-made, styled in a design that is cohesive of a couples wedding theme. As soon as possible! Ideally 12 months prior. 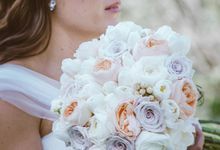 Peonies Boutique Weddings have been creating stunning Wedding and Event flowers for over twenty years. We have been servicing the Hunter Valley Vineyards/Newcastle NSW region for the past eight. We take a small booking fee and the final balance is due 2 weeks prior to the big day! 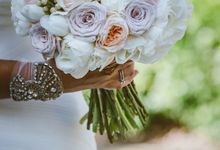 We are a personalised full service team that will take you from the start to the finish in planning, designing and creating your wedding. As a personalised team, you will be dealing with the same personnel throughout the entire process ensuring everything is always up to date and in line with your vision. We focus on optimising our floral designs for the Wedding Day, your blooms will be open and full but still very fresh. We will organise all components of the wedding delivery schedule. 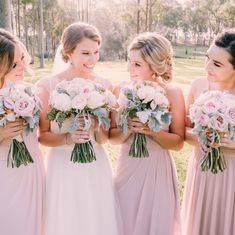 Your bouquets will arrive in coordination with the photographer and the venues will be perfectly styled without you needing to worry about a thing.